Michelle Diener writes historical fiction and fantasy. Her Susanna Horenbout & John Parker series, set in the court of Henry VIII, includes In a Treacherous Court, Keeper of the King’s Secrets and In Defense of the Queen. 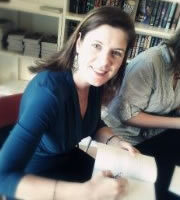 Michelle’s other historical novels include Daughter of the Sky, The Emperor’s Conspiracy and Banquet of Lies. 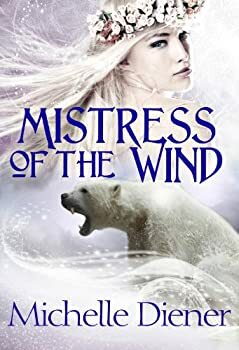 Michelle’s first fantasy novel, Mistress of the Wind, was released in December 2013. Michelle was born in London, grew up in South Africa and currently lives in Australia with her husband and two children. CLICK HERE FOR MORE BOOKS BY MICHELLE DIENER. “East of the Sun, West of the Moon” is a Scandinavian fairy tale that’s a bit like “Beauty and the Beast,” and even more like “Cupid and Psyche.” It’s full of striking imagery but has always inspired a bit of ambivalence in me — I love that the girl goes on an epic journey to rescue the guy, but I’m always a smidgen irked that she wins him by doing laundry better than her rival! In recent years, a number of authors have turned their hands to retelling the story in novel form, expanding the plot and focusing on different aspects of the tale, with varying results.